Router-switch.com’s 15th Anniversary SALE now begins. 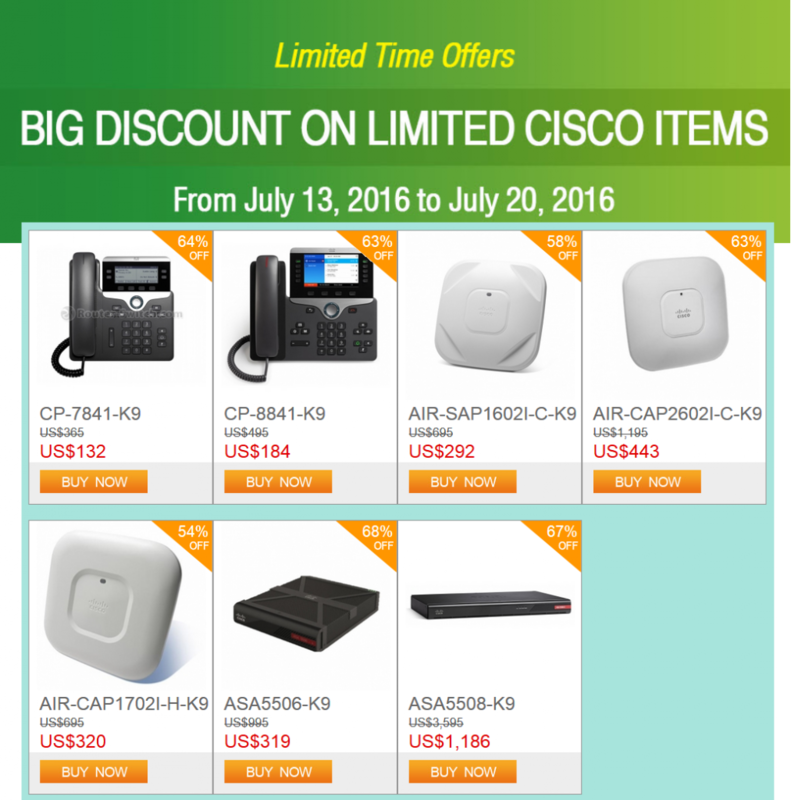 In this week, you can enjoy extra savings on our following Cisco Items, just for you! These offers are available for a Limited Time Only, from July 13, 2016 to July 20, 2016. Router-switch.com—Our 2016 Anniversary Sale will start from July 11, and will end August 11, 2016. For a limited time, we take over 200 Cisco and Huawei items and offer them to you at super-sale prices. We’re talking major savings on the hottest routers, switches, wireless products, firewalls, etc. for end-users, resellers…. When the event ends, all sale items return to their original prices.